Flamenco is full of passion and fire. When these dancers tap out there vibrant rhythms the floor shakes. As you watch your heart beats faster, your temperature rises and energy courses through your veins. The dancers work incredibly hard. You'll see that in the images. 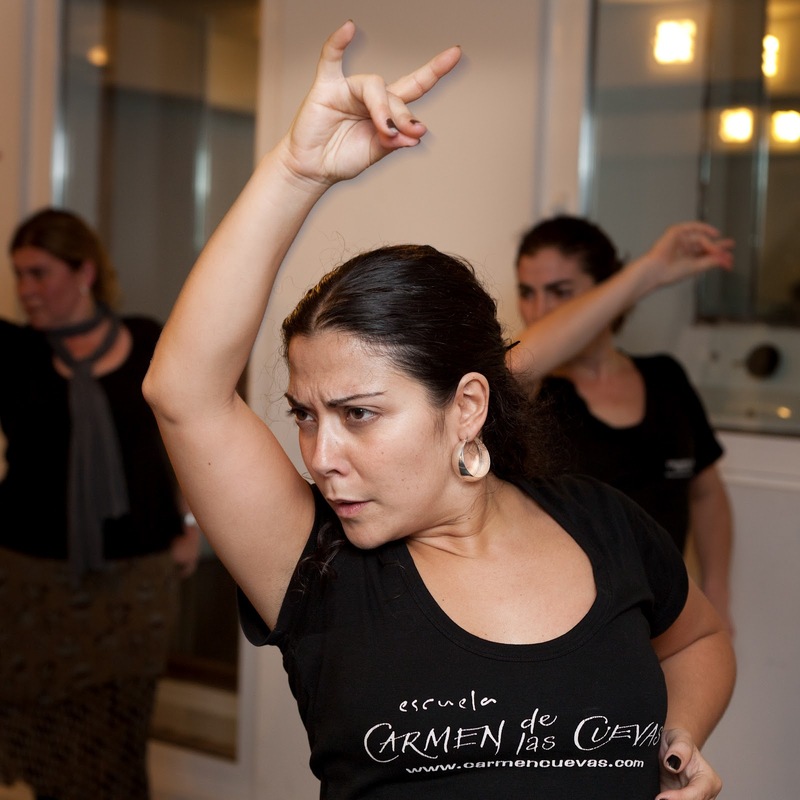 We were fortunate enough to photograph an advanced dance class at one of the world's best Flamenco schools. Please take a moment to view the selected images from my photo-story. When the image opens you can click the i to see the accompanying text. Here are most of the same images on Flickr too. For those interested in the technical side, I used one flash, bounced on the white walls and 'dragged' the shutter to achieve a balance with the ambient light (which was mainly terrible overhead florescent). It was a real challenge. For the most part I used a 50mm lens. The wider shots were done with the 17-40mm on my Canon 5D. I did not use burst mode. It's too random and you miss vital moments - far better to anticipate and capture the perfect moment in one shot. Thank you in advance to those that share this post and take the time to comment.